The 20th century spawned a number of iconic long-selling motor vehicles, among them Ford’s Model T, Germany’s Volkswagen “Beetle” and Italy’s Vespa scooter. 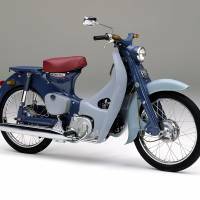 In terms of total sales, however, none of them has come close to approaching the success of the Honda Super Cub, which has outsold the other three combined. Designated model C-100, the Super Cub went on sale 60 years ago this week. Since then, it has enjoyed steady demand at home and abroad, particularly in Southeast Asia. 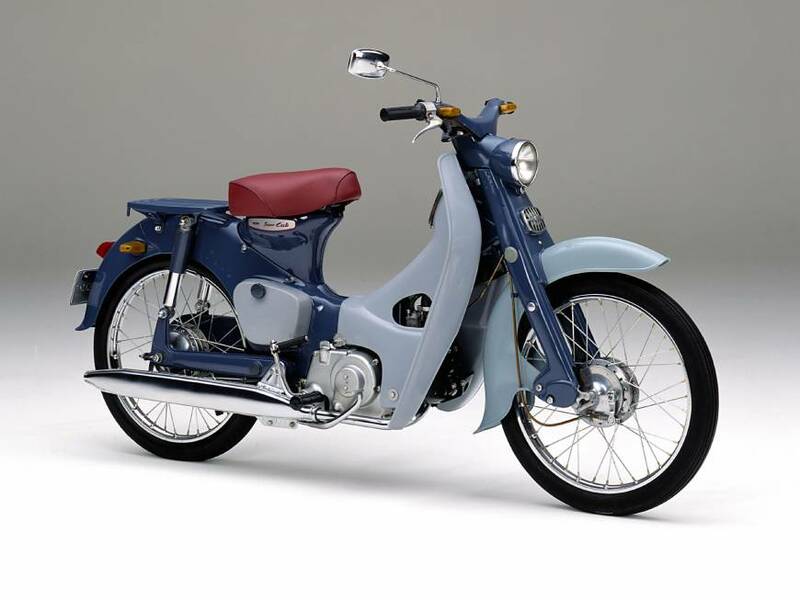 Last year, Honda Motor Co.’s total sales of the Super Cub, including sports and commercial models adopting the same platform, shot past the 100 million mark; they account for about 30 percent of the 350 million motorcycles Honda has sold worldwide. Rebutting the philosophy of “planned obsolescence” that some manufacturers have been accused of building into their products, the Super Cub’s minimalist profile remains immediately recognizable, having changed only slightly over the past 60 years. And while nobody knows the exact number still in running condition, nostalgia buffs in search of an original C-100 have been known to bid over ¥300,000 on auction sites online — six times its 1958 selling price. In 1958, the “postwar period” had been pronounced as having officially ended. Japan’s economy was showing signs of healthy activity. Appliances that brought convenience to homemakers — electric rice cookers and washing machines, among others — were in high demand. Owners of television sets passed the 1 million mark. In February, Mary Chocolate Co. initiated the custom of presenting sweets on Valentine’s Day with a special sales campaign at a department store in Tokyo’s Shinjuku district. Hula hoops, priced at ¥270 (¥200 for a child’s size), became an overnight fad. Japan was also in the process of transformation, albeit gradually, into a nation on wheels. 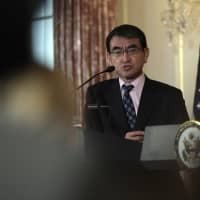 Its transportation infrastructure, however, still had a long way to go — not only had modern highways linking the major urban areas yet to be built, but only about 20 percent of Japan’s roads were paved with asphalt. At the exchange rate of ¥360 to $1, imported commodities such as gasoline and rubber remained costly. One thing Japan did have was a thriving motorcycle industry, with dozens of companies producing models ranging from simple motorized bicycles to the 750 cc Rikuo — sometimes referred to as the “Road King” — produced under a cooperative venture with Harley-Davidson between 1929 and 1958. In 1958, motorcycles outnumbered passenger cars by a ratio of about 6 to 1. Soon after the war’s end, Soichiro Honda, a gifted 40-year-old mechanic brimming with entrepreneurial spirit and a flair for audacity, procured a supply of small war surplus engines that had been used to generate power for military radios. At his shop in Hamamatsu, Shizuoka Prefecture, he began attaching them to bicycles, using yutanpo (hot-water containers commonly used as bed warmers) as improvised fuel tanks. Encouraged by the favorable response from customers, Honda’s next step, in 1952, was to offer a kit consisting of a little red engine and white fuel tank — the colors of the Japanese flag. 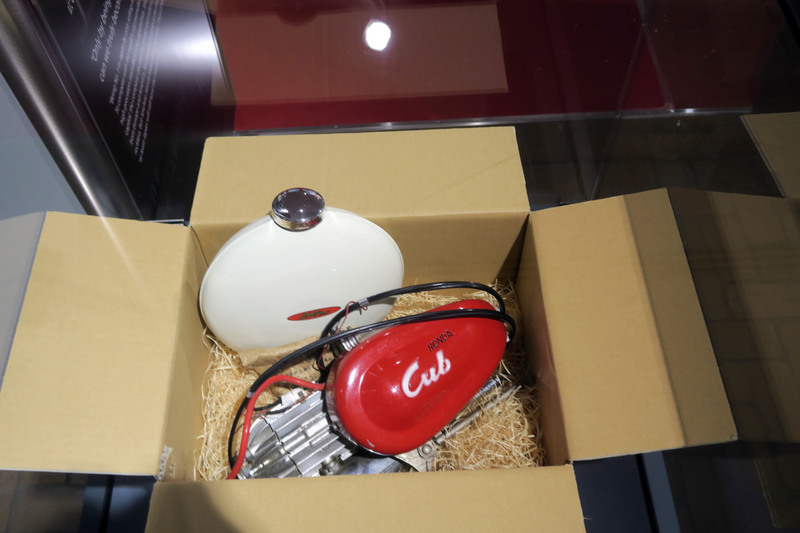 Named the “Cub,” it was shipped to bicycle shops around Japan, laying the groundwork for a network of dealerships in the future. In 1956, Honda and Takeo Fujisawa, who was to become the company’s first vice president, spent several months traveling around Europe. Their sojourn gave them time to scrutinize the European market for scooters and mopeds (motorized bicycles with pedals that were limited by law to a maximum speed of 40 kilometers per hour). 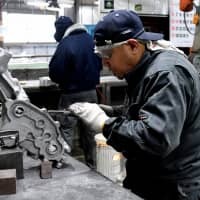 Returning to Japan determined to beat the Europeans at their own game, Honda hunkered down with engineers and designers at the company’s Shirako technical center in Saitama Prefecture. 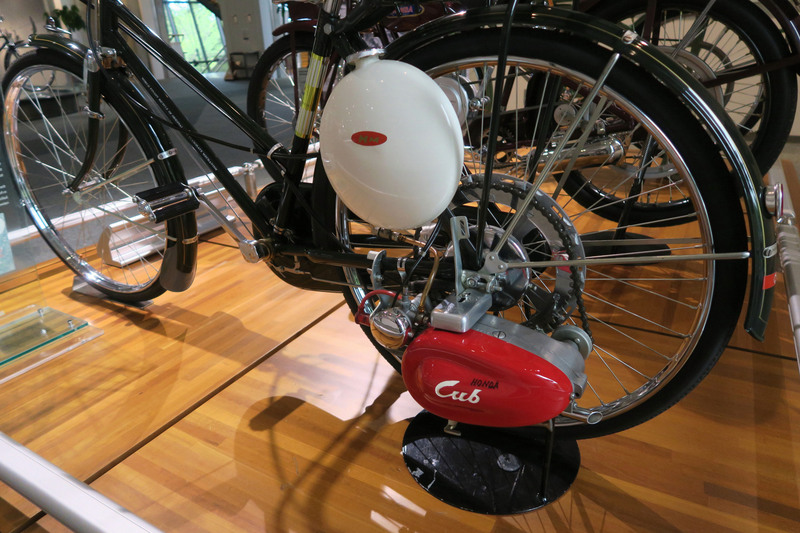 From initial concept to product launch, the Super Cub’s gestation period was about 20 months. Along the way, developers settled on its unpretentious lines that adopted its characteristic “underbone” frame, with the gas tank situated beneath the seat so as to enable riders to step through, like the typical scooter. Perhaps the most crucial decision by Honda was to insist on equipping the new machine with a 50cc four-cycle engine. The industry standard for small-displacement models in those days was the two-cycle engine, which Honda rejected for both practical and aesthetic reasons. While simple, cheap to produce and inexpensive to operate, two-cycle engines of the time were noisy, unreliable and fueled using a mixture of gasoline and oil that produced plumes of exhaust smoke. The Super Cub’s four-cycle, air-cooled, overhead valve configuration revolutionized the 50 cc engine. Stingy on gasoline, it nevertheless generated 4½ horsepower, giving nimble performance and sufficient torque to haul heavy loads. Yet it slinked quietly along residential streets to deliver newspapers and milk without awakening the inhabitants. 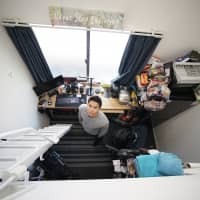 Its initial sales price of ¥55,000 — the equivalent of three months of a wage-earner’s salary — was by no means cheap at the time, but the operating costs and taxes were low enough to justify the outlay. A second feature often cited as responsible for the model’s success was its adoption of an automated centrifugal clutch. Normally operating a motorcycle requires coordination between the throttle on the right handlebar, clutch lever on the left handlebar and gears, which are usually shifted by the left foot. 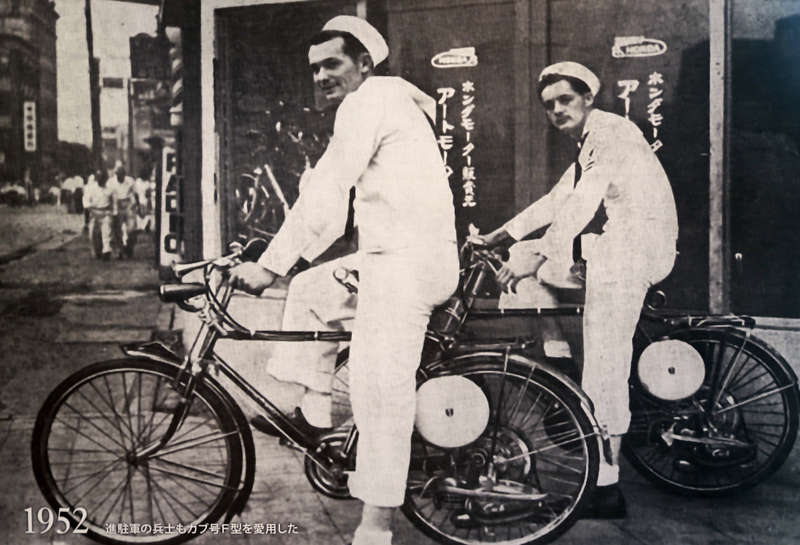 Eliminating the need to disengage the clutch when changing gears enabled one-handed driving — so restaurant delivery staff could grip an okamochi (take-out box) to carry food items. This one-handed maneuverability created a man-machine symbiosis that has continued to this day, and in almost any town or city in Japan, the ubiquitous Super Cub — sporting a spring-suspended contraption dangling over the rear wheel (called a demae-ki) — can be found parked outside the local noodle shop. Sales of the Super Cub were launched on Aug. 1, 1958, and orders immediately began pouring in. Initial projections doubled, then doubled again. Honda built a new factory in Mie Prefecture to accommodate the demand. Overseas production commenced in 1961 in Taiwan and Super Cubs are currently being manufactured in 15 countries in Asia, Africa and Latin America. 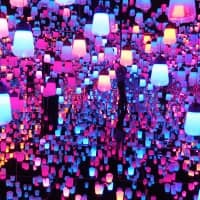 Last year the total production at Vietnam’s three Honda plants, which started operations in 1997, reached a mind-boggling 1.02 million units, with plants in Thailand and Indonesia in hot pursuit. Over the past several decades, the Super Cub has truly become the workhorse of Asia. Even in the era of ubiquitous digital everything, it is no exaggeration to say that there are few Japanese whose lives are not somehow touched by a Super Cub on an almost daily basis. 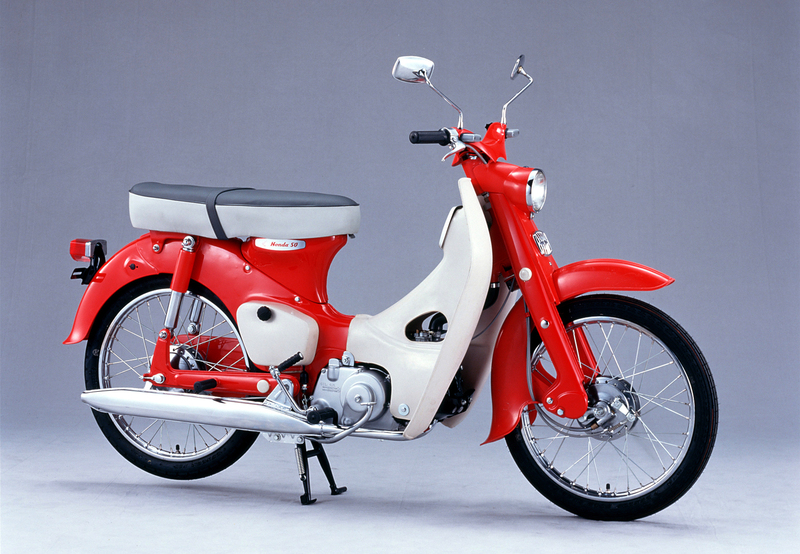 From 1971, red-and-white Hondas began replacing the discontinued Fuji Rabbit scooter for mail deliveries. Japan Post operates the nation’s largest fleet of some 80,000 specially configured versions, designated “MD” (for “mail delivery”), which Honda supplies to the corporation directly. A similar model has been adopted in Australia. With eyes on the U.S. market, then dominated by several British brands and the indigenous Harley-Davidson, Honda established its first American headquarters in Gardena, California, in 1959. Americans accustomed to chrome plating and flashy colors at first didn’t quite know what to make of the weird-looking little Japanese motorbikes with their pressed steel frames, plastic splash guards and flared fenders. However, their attitude soon changed. According to one story, an American manufacturer obtained a Super Cub for its engineers to take apart, to see what made it tick. That metaphor proved appropriate in this case: “The engine was built like a watch and didn’t leak oil” came the astonished reaction. 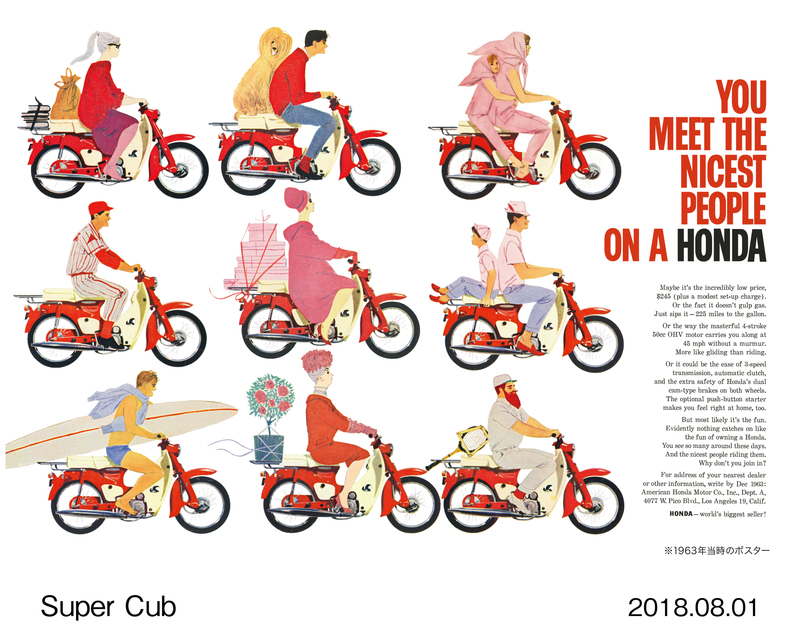 The Gray advertising agency developed a national ad campaign for the Honda Super Cub in 1962. | COURTESY OF HONDA MOTOR CO., LTD. In 1962, Honda America engaged the Gray advertising agency to develop a national ad campaign. Sporting the catch phrase “You Meet the Nicest People on a Honda,” the long-running series appeared in such general magazines as Life and The Saturday Evening Post — publications where motorcycles were seldom advertised. Presented as clean, thrifty and practical transportation for everyone (“Insurance is painless. Upkeep negligible,” the copy stressed), the ad series came to be regarded as a textbook example of effective lifestyle advertising. The black leather counterculture, typecast by Marlon Brando in the 1953 noir classic “The Wild One,” found itself further marginalized. Quick to exploit the interest generated by its ad campaign, by 1963 Honda products had been catapulted from a minor niche to the mainstream, outselling all other motorcycle brands combined to command an estimated 60 percent (90,000 units) of the annual U.S. motorcycle market. The Super Cub since proved its merit in other ways, setting records for fuel economy. Riding a stock Honda C-70, Cycle World magazine’s Steve Kimball took first place in the 1981 Craig Vetter Fuel Economy Challenge, achieving a noteworthy 84 kilometers per liter (198 miles per U.S. gallon) on a 105-kilometer (65-mile) course. Kimball bested machines specially designed by engineering students, as well as an entry from American Honda. One of the Super Cub’s enduring mysteries is, how heavy a load is it capable of safely carrying? 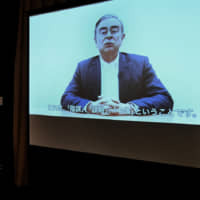 I posed the question to Masayuki Takayama, assistant manager at Honda’s PR Department. A 41-year veteran of the company, he’s the man to ask when it comes to the Super Cub, and he told me the models can only claim an “authorized load” of 30 kilograms for the 50 cc model and 60 kilograms for the 110. 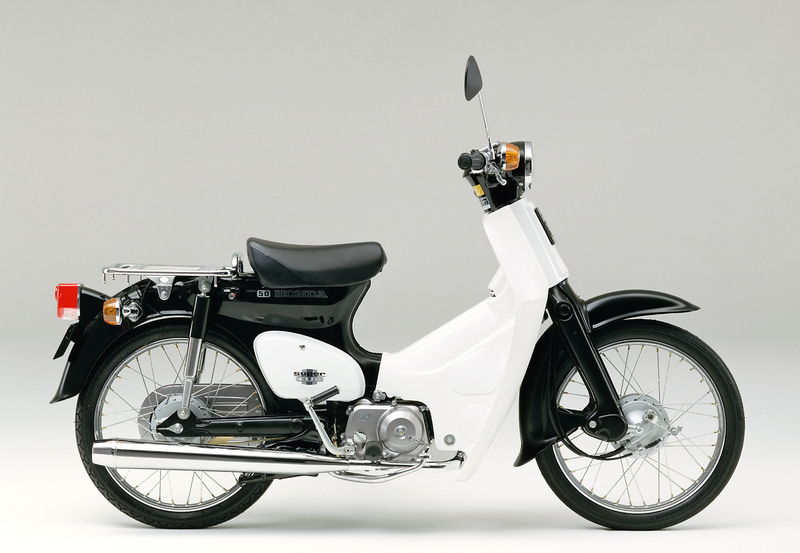 Super Cub C50 (1978) | COURTESY OF HONDA MOTOR CO., LTD.
“That’s according to Traffic Law regulations,” he says, smiling. As to its real hauling capacity, Takayama couldn’t, or wouldn’t say. Two grown adults alone might weigh 130 kilograms or more — which a Super Cub can carry without working up a sweat. It should surprise no one that the Super Cub’s success attracted imitators. 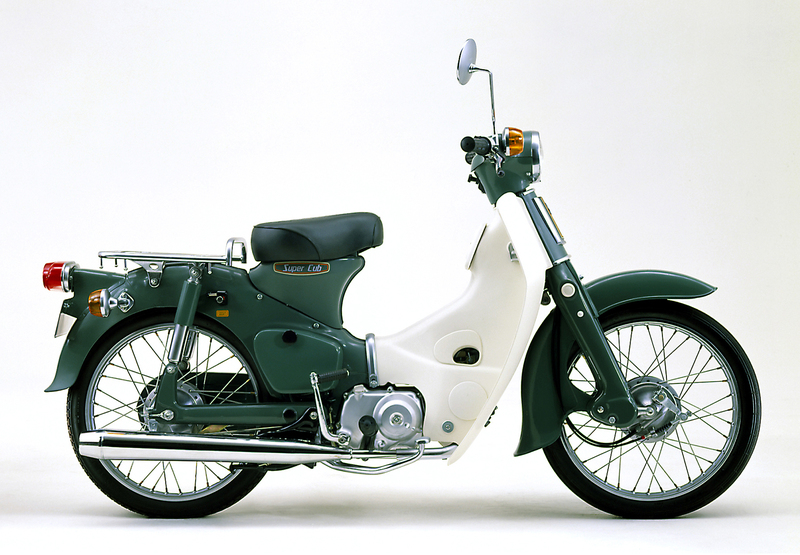 In 1965, rival maker Yamaha launched its Mate, and Suzuki followed not long afterward with its U50. 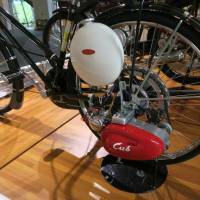 While both mounted two-stroke engines, their profiles closely resembled the Super Cub and Honda’s lawyers leveled charges of intellectual property theft. 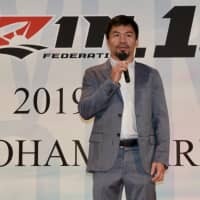 The dispute was settled out of court, with the two agreeing to pay royalties to Honda. Those pretenders to the Honda throne both ceased production years ago. 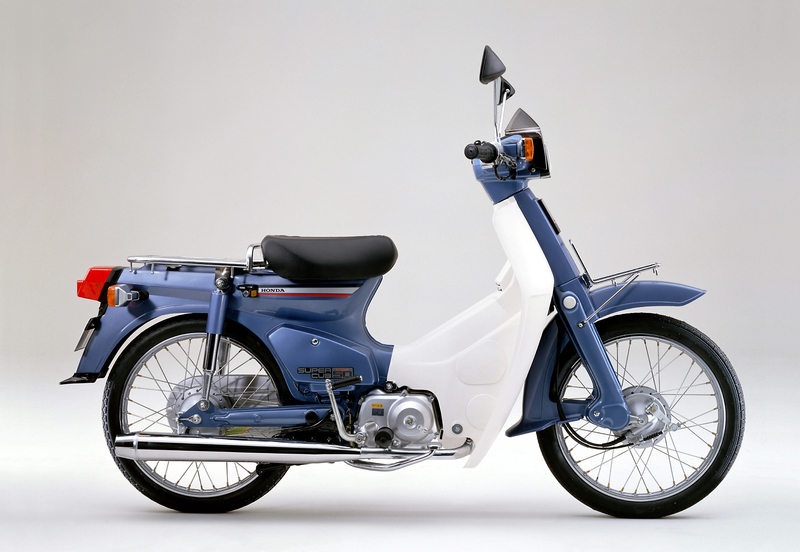 Super Cub 50 Super Custom (1983) | COURTESY OF HONDA MOTOR CO., LTD. Most owners are likely to agree. Long-term Japan resident Gregory Starr became owner of a 110 cc Super Cub in 2004 at age 53, and it’s clear he has become emotionally attached to his machine. “After seven years of driving myself and daughter around Tokyo, I brought the bike out here to Akiya,” Starr says. “I did a year and a half of commuting to Zushi Station by motorbike (followed by a 90-minute train ride to work). It’s a 20-minute bus ride, but can be an hour when it rains, so I got good rain gear and did it regardless of the weather, even in snow. It saved my life. After a bad day in Tokyo, it would just lift my spirits to cruise home down the coast, leaning into the curves. “Since going freelance in 2011, the Cub’s become my main mode of local transportation — to the station, shopping, whatever. It’s now got 32,460 kilometers on it. With more than 100 million units sold, and tens of millions just in the past decade, it may now seem like heresy, but Honda once considered dropping the Super Cub from its lineup. In 1973, domestic demand for two-wheelers had stagnated, and the common wisdom dictated a flashy new model might benefit the bottom line. 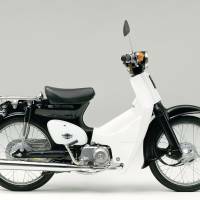 Honda’s Super Cub CA100 (1962) | COURTESY OF HONDA MOTOR CO., LTD.
Isamu Goto, who later became Honda’s vice president, revealed in an interview how he was entrusted to head a project team to ponder a successor to the Cub, which at that time was 15 years old. Honda’s current lineup varies from standard models to the Super Cub Pro, the beefed-up commercial version recognizable by the reinforced carrying racks, 14-inch tires and a heavy-duty headlamp mounted above the front wheel. Honda’s Customize Parts Catalog offers aftermarket goods that range from touring saddlebags and megaphone mufflers to hand warmers for winter riding. New from this year is the C-125, a “super” Super Cub that’s the most powerful yet. Imported from Thailand, its 125 cc double overhead cam engine puts out 9.7 horsepower. It boasts the same Programmed Fuel Injection System that’s now standard on all Super Cub models, and is also equipped with many accouterments of its bigger brothers — like diecast aluminum wheels, a front disc brake and “smart-key” security system. The model retails in Japan for ¥399,600. Which then raises the question: What is Honda’s long-term vision for its venerable Super Cub? Word from various quarters has it that release of a battery-powered Eco Cub may be imminent. But how about a decade hence? Will we see hydrogen-fueled models capable of hovering several centimeters over the streets? As far-fetched as that may seem today, Honda — whose U.S. affiliate sells the HondaJet Elite business jet — may surprise us yet. 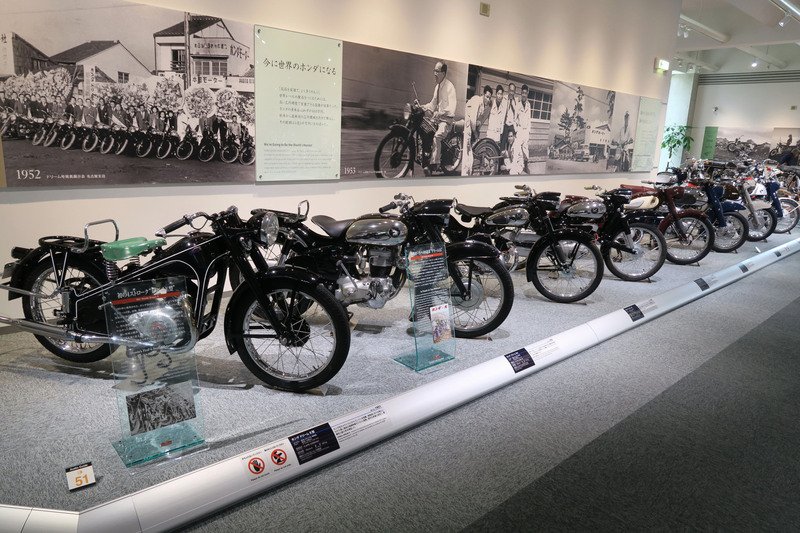 Immediately upon entering the Honda Collection Hall in Motegi, Tochigi Prefecture, the first things you see are three products emblematic of the company’s early successes: a first-generation Super Cub (1958), a S500 sports car (1963) and an E300 portable generator (1965). The museum, which celebrates its 20th year in 2018, displays some 300 motorcycles, automobiles, power products and racing machines, along with larger-than-life wall panels detailing highlights of the company’s history. 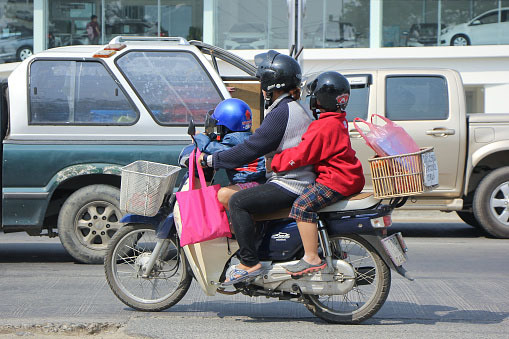 Separated from the motorcycles are Honda’s cars, including its earliest commercial trucks and vans, its first sports roadster and popular family models such as the City and Civic. The ground floor features a gift shop, reading room and a historical walk down Honda’s memory lane, including the Curtiss Special race car built by the company’s founder in 1924. If I could make just one suggestion, it would be to include a hands-on corner where visitors could touch and even sit aboard a few selected Honda models, which the museum presently does not permit. Honda Collection Hall is open from 10 a.m. to 5 p.m. on weekdays and 9:30 a.m. to 5:30 p.m. on weekends and holidays. 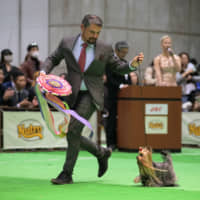 Admission is free, but an entry fee of ¥1,000 per adult is charged to enter the huge Twin Ring Motegi complex (less for children and preschoolers). It’s family oriented with go-cart and cycle tracks, and obstacle courses for children. For those desiring a longer stay, Hotel Twin Ring offers overnight accommodations. I especially liked being able to transit the pedestrian tunnel under the Twin Ring race course, which enables visitors to take lunch at the Gran Turismo Cafe inside the pit area. Twin Ring Motegi can be accessed by rail and bus, from either Mito in Ibaraki Prefecture or Utsunomiya in Tochigi Prefecture. However because only one bus goes there per day in each direction, and taxis are not readily available, I would strongly recommend going by car, which would be faster, more practical and more economical, especially if two or more people make the trip.